Welcome to another in a series of profiles spotlighting the 2016 Firm of the Future finalists. This edition features Gavin Watt of First Base Accountants. Stay tuned in 2017 for details on how to enter our next Firm of the Future contest and continue visiting our blog often. Kim Amsbaugh: Welcome, Gavin! Tell me a bit about First Base Accountants. Gavin Watt: We have been in our current office in Stirling in Scotland for about eight years, and have a team of seven. We have clients across the UK and abroad. KA: Share with us a little background about your firm. What type of clients do you serve – tax & accounting? What are the services you provide? GW: Most of our clients are small- to medium-sized family businesses. We provide the usual tax and accounting compliance services for individuals and both unincorporated and incorporated businesses. In addition to this, we offer specialist tax planning and business development services. We specialize in providing compliance and advisory services to property investors and developers, and have clients based throughout the UK. We are also part of an international accountancy group, and provide services to international businesses that are starting to trade and establishing a base in the UK. We can also assist UK business requiring assistance overseas. KA: What makes First Base Accountants a Firm of the Future? GW: We believe that we represent a Firm of the Future because we are constantly striving to improve our working methods, and most importantly, the way we interact with clients and prospects. We are aiming to build a firm with traditional local clients, but see major growth potential in developing long distance clients, both in the UK and abroad. Cloud technology, and the skill of application, are key to this growth. We are well into our program of migrating all our existing clients onto QuickBooks® Online (QBO) and associated apps. Every new client will use QBO. KA: What’s your best advice about getting online today and adopting online technologies? GW: Clients need to engage a modern thinking, IT savvy accountant who has done the research, and keeps doing the research, to provide the right cloud software for their business. This accountant must be able to hold the client’s hand through the process and provide ongoing support. My advice is to do it now. The sooner a business adopts cloud technology, the sooner it can reap the benefits. KA: How do you choose software and app partners before recommending to your clients? GW: We set our objectives and we do our research. Any software we choose has to provide the functionality and quality we need in a user-friendly way. Software must deliver value and business benefits to both our clients and ourselves. After that, it is down to the ethos of the software provider and their people. In short, whom do we want to work with? KA: What apps do you use for your firm, and for your clients, and which do you recommend most frequently? Why? GW: At the moment, we use QBO, Receipt Bank, AutoEntry and GoCardless. We have been recommending QBO and Receipt Bank most frequently, but we are changing to QBO and AutoEntry for those clients who wish to, as we feel the functionality is better than Receipt Bank. Shortly, our own firm’s app will be live and we’ll be recommending that, which will in turn have links to all the other Apps we feel are relevant to the clients. KA: You mentioned in your contest entry that you have been working in Accountancy and IT for 25 years. When you think about serving clients 25 years ago versus nowadays, what, in your opinion, has been the biggest change? GW: Looking back over the last 25 years, just about everything has changed in the way an accountancy firm operates and interacts with its clients. The most outstanding reason for this is the progress of technology. This has changed both the way the firm communicates and operates internally and the way the firm communicates and interacts with clients and the outside world. Internally, firms have significantly more efficient workflow, providing greater value for the client and higher profitability for the firm. The information provided to our clients today is not historic; it is up to the minute, providing better business insights that enable us to work with our clients to help them achieve their goals. KA: How did you introduce value pricing to your clients three years ago? GW: Our policy is to have face-to-face meetings with clients, develop relationships, and get to know them and their business. Introducing value pricing was, therefore, an integral part of those meetings. KA: What was their reaction, and what changes have you seen in the way you collaborate with them? GW: The clients that grasped it are those that we really want to work with. We have seen a stronger relationship develop and have more interaction. KA: Do you use wholesale billing? If so, why? How have your clients responded to that? GW: Yes. It puts us in control. The client is advised the fee for the job, and we include the software free of charge. This has given us a strong selling point when insisting that QBO is adopted. KA: What advice would you give other firms thinking about transitioning from hourly fees to monthly fixed fees? GW: As a firm, it has not been our policy to have hourly billing. We have always endeavored to work on a fixed fee basis. There are some exceptions, such as tax investigation work. Again, my advice would be to do it as soon as possible. There are many positives to fixed fee billing for both the client and the firm. 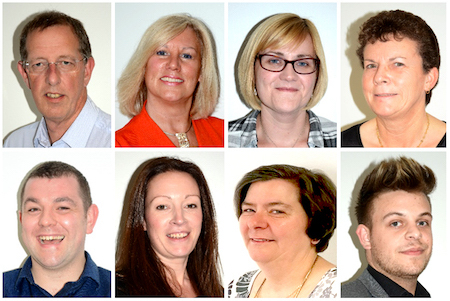 Our staff does not have the stress or wasted time of completing timesheets. We don’t always get it right, and we tell the client that when we agree the first fee. If the fee is not right, we get around the table and agree on a course of action. KA: You mentioned in your entry that it takes time to transition existing clients to Mark Wickersham’s model. What has been the biggest challenge, and do you have existing clients who have agreed to switch and now would never go back to the old hourly billing model? GW: The main reason for adopting Mark Wickersham’s model is to increase our fee levels and to upgrade the type of service we provide to some of our clients. It took time to determine our levels of service and what to include at each level. For new clients, this is the model we use and it has resulted in about a 30 percent increase in fees achieved, and more in some cases, especially where we provide additional services. For existing clients, more effort is needed to make sure they understand. We have seen an increase in existing fees of about 20 percent. I think that implementing this pricing model will always be a “work in progress,” as we constantly seek to improve. KA: You mentioned First Base Accountants offers a monthly newsletter to clients and prospects. Do you have any stories about how this has influenced a prospect to become a client, or any other positive outcomes from issuing the newsletter? GW: It is difficult to quantify how much business might have been gained as a result of our newsletter, but we see it as an integral part of our awareness marketing. It is a passive way of keeping in touch with clients and prospects. KA: How do you use the ProAdvisor® program or social media channels to connect with prospects and current clients? Is there one that has been particularly more successful than others? GW: So far, we have used the Quickbooks marketing tools for logos and marketing documents, which have been incorporated in our emails and on Facebook. This is effective at raising awareness. Our firm’s app is currently being developed by Intuit® and will be live shortly. We see this as a major improvement in communication. We are also in the process of incorporating links to the QBO training center videos on our website, which we hope will interact with the app. Our next project is to develop a landing page with QBO to use for more direct email marketing. KA: What are your plans to continue growing First Base Accountants? GW: Our plan moving forward is to increase the size and profitability of the firm by developing our long-distance clients. We now have the technology in place to do this, and believe that with the use of technology, we will still be true to our policy to hold regular face-to-face meetings and develop strong relationships. KA: What future invention are you most looking forward to? GW: Scotty’s transporter, so there will be no more wasted traveling time! KA: What advice would you give to a firm trying to transition from their old ways to become a Firm of the Future? GW: Do it now or get left behind. Be open minded and look to new horizons. Embrace technology. Hire the right people. Reinvent your services and fee structure around the new possibilities. Talk to your clients and take away their pain. Set yourselves a target date or you will put it off! 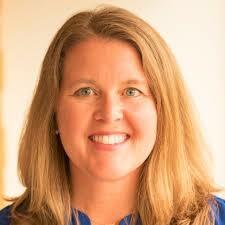 Kim Amsbaugh manages Intuit's Accountant Segment public relations, social and influencer programs. She has been working at Intuit focused solely on the Accountant Segment since 2009, raising awareness and attention externally to Intuit's products and services that specifically impact accounting professionals. She has a master degree in journalism from the University of Arizona. Kim is based out of Intuit's headquarters in Mountain View, CA.